It is the job of the app server to send the message to the FCM server which then sends the message to the client device. To get a boilerplate code from FCM console, navigate to the developer section and click on the WEB SETUP link above, you will get a boilerplate code to configure your FCM client. 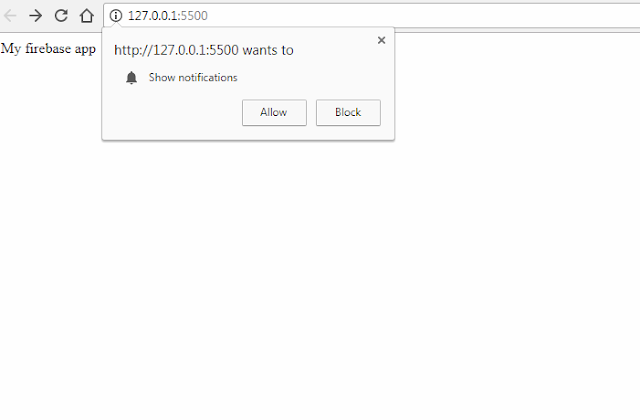 Open the index.html page and you get a notification message that is asking for your permission, click “Allow” refresh the page and the token would be displayed in the browser console then. Copy the token and save it somewhere on your computer. Note: I am currently using visual studio code live server instead of creating a node-js app server. Now you make your request to the Legacy protocol endpoint to create a message. Note: To access this endpoint, you need to be authorized with the server key. If you try to access it with postman without the server, it will throw an error. The endpoint must contain two request headers for the message to be sent successfully. 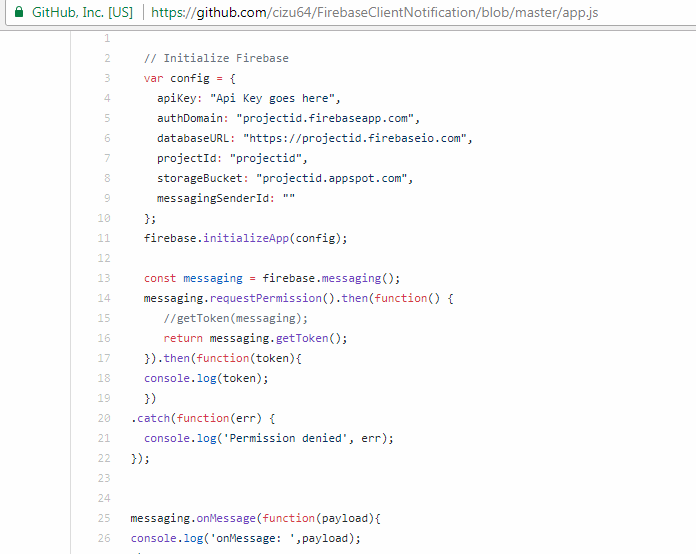 The server key can be found in the firebase project settings section under the tab cloud messaging in the firebase console. 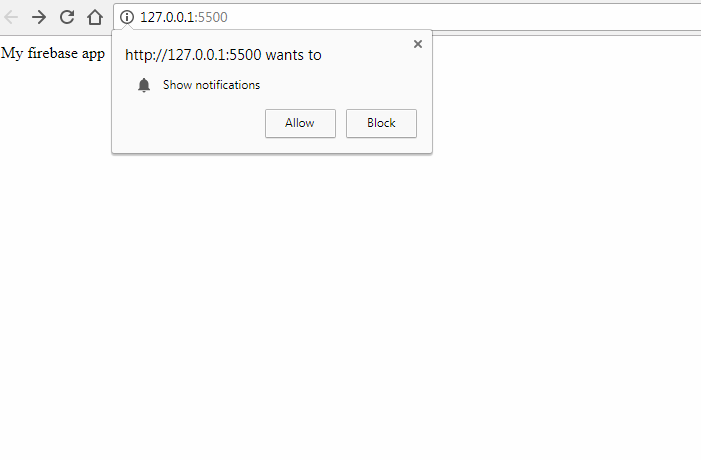 The notification message is displayed in the console and if the browser is minimized or you open another page, it would show the notification toast. 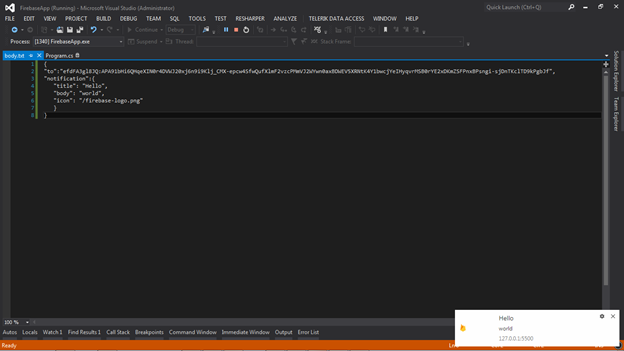 I will show you how to send a notification from a .net client with the token that has been generated. 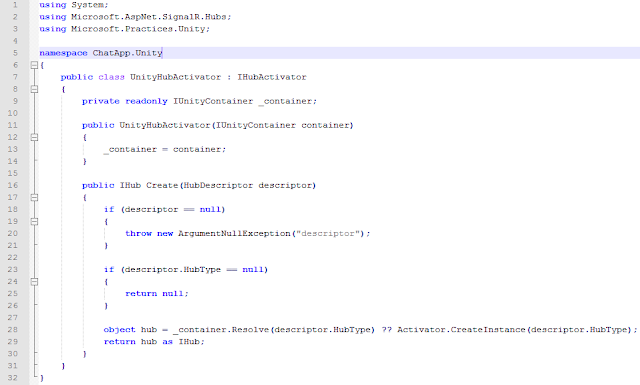 It is good practice for the client to generate the token and send it to the server. For example, if we are building Android app that enables users to invite their friends to like their page, it would be better to use the FCM android library to generate the device token for the particular device and send the token to the backend server which would be stored in the database.